mwe3: Your new CD Latenighters Under A Full Moon is yet another new kind of recording from you. How does it fit right in between Ray Of Light and your Blues album? Its a great idea merging guitar instrumental and blues. What was the motivation behind making the Latenighters album with your band The Twang Bar Kings? Berdon Kirksaether: To tell you the truth, I'm not really sure how it fits in between those two albums. But, eventually, there is a common thread, it's still me playing my guitars and expanding the painting with some friends that happen to be great and inspiring musicians in the bargain. Let's just say that strange things might happen once you leave the acoustic guitars in the closet and go downtown at night with an electric guitar, drums, bass, organ and a couple of saxophones, aiming to party all night long. It struck me one day, what if I set out to make some kind of a "concept" album mainly in the blues/swing territory, bringing in traces of agent/surf guitar and a little bit of Tom Waits, Freddie King and some Latin, for good measure? Once I started thinking about it, it all came together real quick. The Latenighters album is the story about a bunch of guys going out for a marathon of different bars, dives, loose connections, discos and a few pit stops along the way. It culminates with the two last songs, Walk And Your Feet Will Follow, when you get so drunk that looking at your feet, moving one after the other, is actually the only way to keep going, and Latenighters Under A Full Moon, portraying the survivors stumbling home at the end of their long night out. From the day I got the idea, it took about 2-3 weeks to have all the tunes ready. It's quite exciting to try to tell the story instrumentally, without any help from voice and words. I tend to see each album as a separate film and the songs as different scenes. 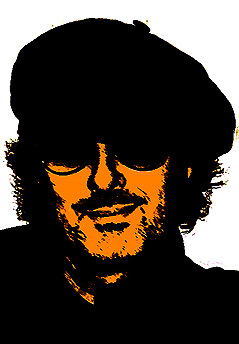 Bob Dylan once said that writing a song is like riding a bull into an alley in a town you've never been to before. So my motivation is mainly that I'm ready for that ride whenever that bull might appear... and then roll film. mwe3: Who else plays with you on the new Latenighters album, where and when was it recorded and who else was involved in the production, mastering, engineering and album cover art design? And what is that cool front cover a picture of? Berdon Kirksaether: The project started with me recording the guitar melodies at home in my studio, using drum loops to establish the grooves in the right tempos. Then I recorded rhythm guitars and in the end, bass. I made the tunes and recorded them over a period of 3 weeks. All guitar lines were first, second or third takes. That was one of the ground rules that I decided on before I started recording. If I had to do more takes than that, then I'd skip the whole thing. I firmly believe that spontaneous recordings have a far better chance of touching people, besides it started with me playing something that I responded to on a personal level. The first musician I called when I had the idea for the album was Olaf Olsen, a really good drummer and a friend, who happens to live 5 min. from my house. We have played together from time to time throughout the years and jammed a lot since we live so close to each others homes. Olaf was in between tours with "Big Bang", one of Norway's premier rock bands, and was ready to try anything as always. I think that was the key in making this album, because its not exactly your average blues/swing album. It's probably a bit eccentric. Olaf immediately grasped my vision and the drum tracks were all recorded in one day. That was done in the studio at his house and engineered by the two of us. Once we had laid down the grooves, I sent the songs to Stein Tumert in Hamburg, Germany and he replaced the bass that I had recorded in the first place, in his North By North West studio. Being the solid player that he is, his lines sounded a lot better, but still retained the atmosphere of the demos. Then Stein and I decided that we needed some extra color and sugar on top. Stein approached a keyboard player that he knows in Hamburg, Leo Volskiy. Leo agreed to add some flavor to the stew, playing piano and Hammond B3 organ on 3 of the songs. Those tracks were recorded in Stein's studio and engineered by him. I think Leo's contributions worked out great. Later Stein found out that a Wurlitzer would add to the feel on "Another One Going Down". He played and recorded it himself and was unsure of it. When I heard it, I immediately liked it, so I told Stein it definitively was a keeper. Having come that far, I was thinking that it would be interesting to bring in yet another instrument. I knew Øyvind Sørby, whom I'd met at a garage party many years ago. Øyvind is a great guy and a skilled sax player, but most importantly he is willing to try anything to find out if it actually works out. And some of the things I asked him to play were a bit strange, but Øyvind made it work and passed the audition with flying colors. Last man contributing was Finn Tore Tokle, another old friend and outstanding musician who plays in several major bands in Norway. I asked Finn Tore to play bass on the bossa nova track "Rendezvous", because I know that he's really into that kind of rhythmic, syncopated bass lines. I recorded him and he made it shine. I did a lot of the mixing in my studio here in Norway, and Stein did the rest in his studio in Hamburg. We talked a lot about how we wanted the album to sound and early on we decided not to compress and limit much, but go for an organic, warm sound allowing the instruments to breathe like the recordings of a bygone era. Then we sent the finished mixes to Otto Burls mastering studio in Hamburg, just like our previous two records, Ray Of Light and Blues. Both Stein and I think it sounds like we intended, thanks in no small part to the musicians involved. In the back of the picture you see the last men standing, walking and counting on that their feet will follow. Latenighters Under A Full Moon! In the front of the picture there is a man on a bicycle delivering newspapers, though a bit early to be up and working, from a musicians point of view. mwe3: Whats been the reaction to Ray Of Light and Blues and now the new Latenighters album in Norway and Scandinavia? Are you planning any follow up to Ray Of Light, which you did say you might play live at some point? Berdon Kirksaether: Ray Of Light was a low-key album; however, it was well received in Scandinavia. Both Stein and I feel that it is a timeless album, and it got good reviews in the press. It keeps selling without any marketing, just word of mouth, so who knows what may become of it in the long run? What pleased me the most was that Steve Hackett (Genesis guitarist) heard the album and bothered to send an email to Roller Records and talk about the album in favorable terms. Blues also got good reviews both in Norway and Europe, got airplay in Norway, Germany and the Netherlands, and got me my first interview in mwe3. The follow up to Ray Of Light will be released in 2014 and I think Berdon Kirksaether & Companeros will play some of it live this year. mwe3: Whats the music scene like in Norway for your music and other instrumental guitarists, who else are you listening to these days and do those influences creep into the music on the Latenighters CD? Berdon Kirksaether: There used to be more live clubs a few years ago, and all sorts of tribute bands seem to be on the move these days. So I'd say the market is tighter now, especially if you're not a major artist. But we did not start playing music for the money, anyway. So we'll just keep on doing the things that we do, like always. As for guitarists I've been listening to for the last year or so, I have to admit that I've been listening to a lot of the old stuff. Albert King, Freddie King in his funky phase, Jeff Beck, Buddy Guy's great album A Man And His Blues, Alex Harvey Band, Cream, Chris Cain, Matt Scofield, Andy Timmons' Sgt. Pepper" instrumental album, and of course The Stones in the early seventies. I saw that Good Time Charlie guitarist, Steinar Karlsen released an instrumental album in 2013, but I didn't actually hear it until the last few weeks. Sounded great, I really liked his approach. I have played live recently with guitarist Espen Liland. Hes a great and creative blues guitarist and nice guy who inspire me whenever I hear him play. mwe3: The guitar sound on the Latenighters album is quite good. I was thinking Hendrix and Trower at first but then I detected other jazzy and even bluesy influences. What inspired you to cut an instrumental album so bluesy and rootsy as far as this one? Freddie King, Peter Green, Clapton... definitely great sounds to draw upon! Berdon Kirksaether: Well, it was not a conscious choice, but I grew up listening to those players and many other great guitarists, so eventually some of it must have crept into my own playing, through the years. At least I hope so. mwe3: What were your guitars of choice on the Latenighters CD and what other effects, amps and pedals are you using on the new album and live in concert as well? 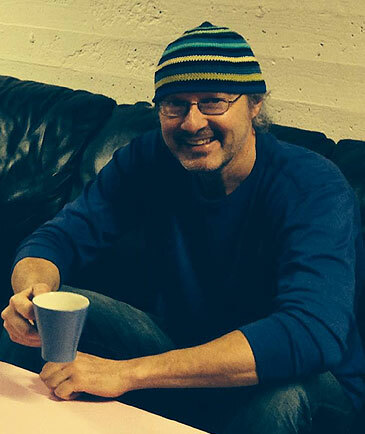 Berdon Kirksaether: Mostly I used my main guitar, a trusty Stratocaster from the early 90's with Lace Sensor pickups. It's a great sounding guitar and a very versatile instrument, as well. I also used my Jay Turser 335, which is Jay Turser's take on Gibson 335, on some tracks; I think it was on "Go Cat Go" and "Walk And Your Feet Will Follow". I used an Epiphone Les Paul on "Midnight Haze". Apart from that, it was all done with the Stratocaster. When it comes to amps, it was a Fender Twin on a lot of it and The Peavey Blues Classic 60W with a 15-inch speaker on the rest. The Peavey amp was only produced for a couple of years in the 1990's. It is a fantastic amp, it can sound like an old Fender amp from the late 1950's and when you tweak it, it can sound like a cranked-up Marshall, with that great natural overdriven tone. If you roll down the volume, you can still hear the tubes working. It is definitively one of my favorite amps of all time. For this album I used a Fender Blender stomp box on many of the tracks, just to push the tone a little bit, a great device. On "Midnight Haze" and Latenighters Under A Full Moon I also used my old Colorsound Wah locked in that sweet spot position that makes it cry in a very pleasing way. On "Latenighters" the Fender Blender and the wah were combined with a Boss OC 2 octave pedal. I think most rhythm guitars were clean through the Twin, but I used the Neo Ventilator rotary pedal occasionally on some parts. The microphones that we used on the guitars were Audio Technica AT 4081 ribbon, or an Avantone CR-14 ribbon in conjunction with a Shure 57. Pre-amps were Universal Audio LA-610 mic-pre/compressor and Universal Audi solo 110. My live rig the last year or so, has been mainly the Peavey Blues Classic amp and I mostly have these pedals in use: From amp - TC Flashback delay, Voodoo Lab Uni-Vibe (sometimes Dunlop Hendrix 70th anniversary Uni-Vibe), MXR boost/overdrive, and the Boss OC2 Octaver. Sometimes I also use a Lovepedal Babyface Tremolo as well. mwe3: What are you looking forward to in 2014 as far as new music, live shows, recording and other up and coming things? 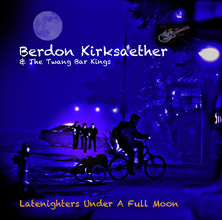 Berdon Kirksaether: In May 2013, I launched a new band, called Berdon Kirksaether & Companeros. I was asked to put together a band playing acoustic, atmospheric music for a cultural happening in the area that I live, called 24 Hours. It's an annual kind of festival thing, with lots of musical and cultural events, going on for 24 hours straight. I approached Øyvind Sørby on saxophones and clarinet, Erik Gabrielsen (who played bass on a couple of tracks on Blues) and drummer Geir Inge Hansen. The debut concert was a success, so we decided to go forward with this ensemble. Actually we did perform two songs from Ray Of Light on that concert. 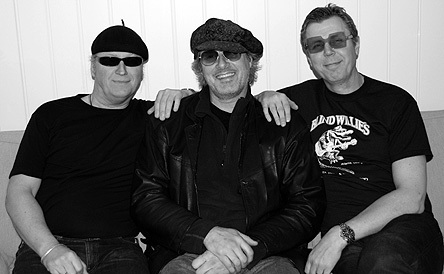 Two months later, Geir Inge went out on tour with a jazz-rock trio, and was replaced by Per Eriksen, the drummer on the "Blues" album. We recorded 12 songs live on a cafe stage in the beginning of July last year, with no audience on the premises. 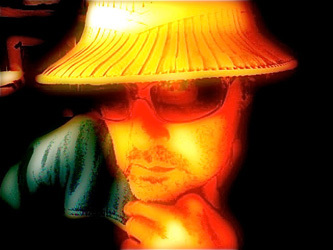 Another friend of mine, Frode Skinstad, who is bass player in the roots/blues/rock band "Jug Rock", was at the helm and recorded and engineered the record in two days. It turned out great and Frode and I have mixed some of the songs and are due to mix the rest in February/March, so it's due to be released this summer. This album is a cross between Instrumental music and vocal oriented songs. I have also started working on the third Twang Bar Kings album that will represent yet another turn musically, though with a blues related base. It's going to be more groove oriented than the previous albums. It will feature mainstay Stein Tumert on bass/keyboards, as well as maybe Erik Gabrielsen and Finn Tore Tokle on a couple of tracks. Olaf Olsen will once again appear as the master of drums. That album is scheduled for release this year as well. 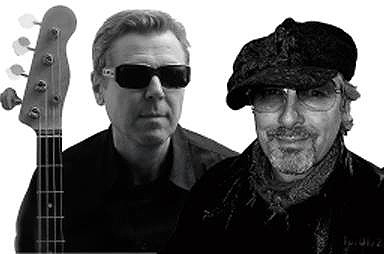 The third project in line is the follow up to Ray Of Light which will feature Finn Tore Tokle on bowed acoustic bass and Per Eriksen and Olaf Olsen on percussion, Stein on keyboards and yours truly on acoustic guitars. So if everything works out as planned, we intend to release three records in 2014. Apart from the records we plan to gig with the Twang Bar Kings in Norway, Germany, Netherlands and Belgium, Berdon Kirksaether & Companeros will do concerts in Norway and The Ground will reappear live this spring. So there are lots of things in the works! You can follow us on www.rollerrec.com.